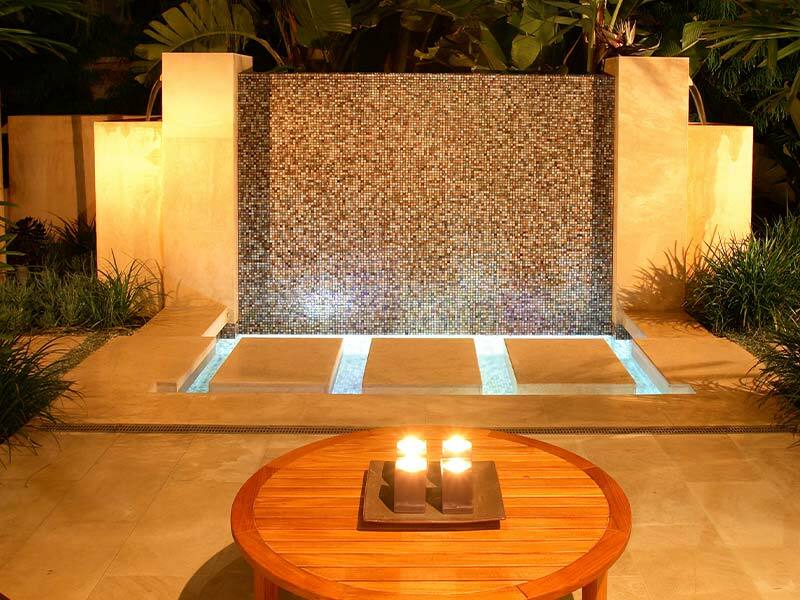 Here we discuss the pros and cons of the most common garden features, such as lighting, walls and seating areas. 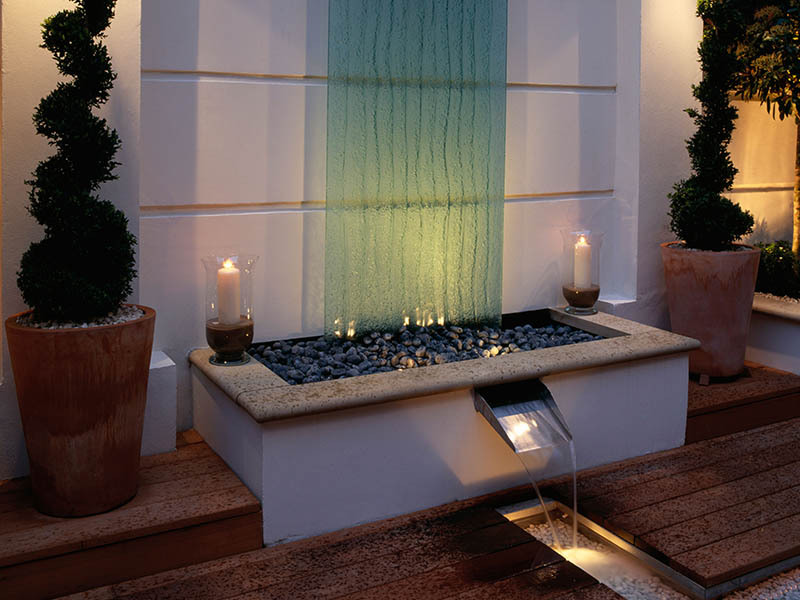 Garden lighting can add such a warm glow. There are many different types of displays, so the lighting you choose should depend on what the garden is to be used for. 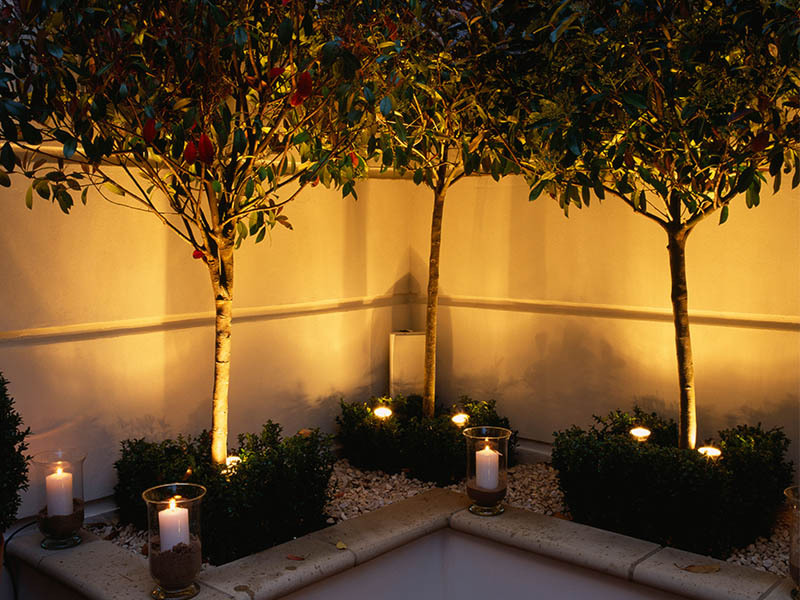 If it is mainly a socialising garden or has a feature to be lit, then low-level ambient and spotlights might be best, while a lighting display when combined with evergreens means that even on the dullest winter evening your garden would look lush and inviting. 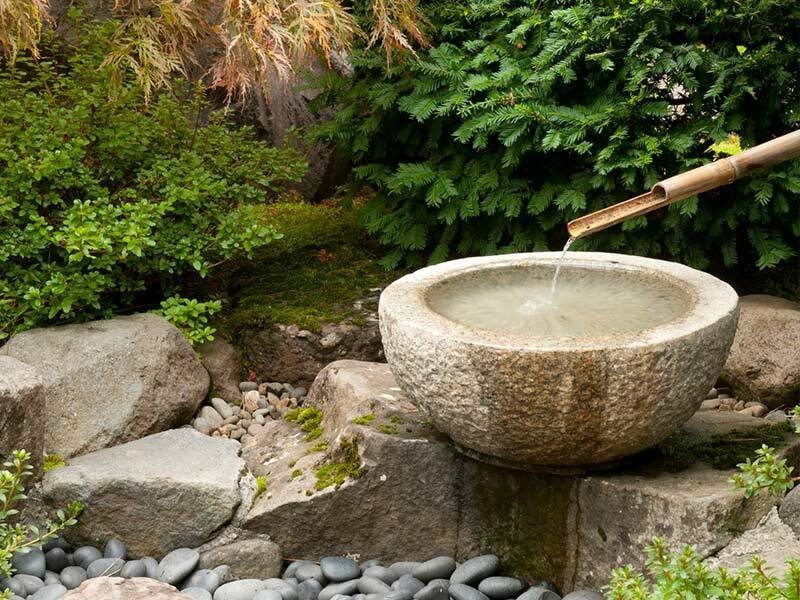 Water features can be a soothing addition to any garden, whether it be a fountain or a gentle cascade. 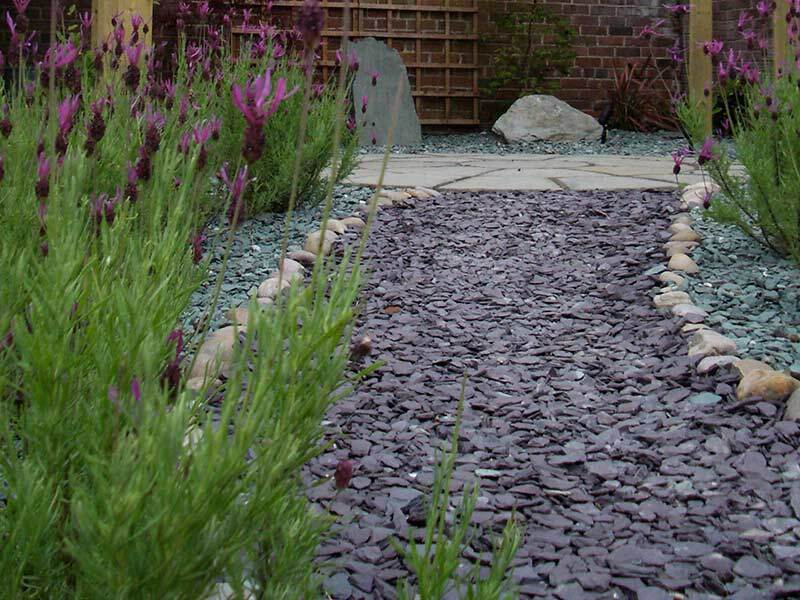 One of our favourites designs are sheets of water which run into an underground reservoir, meaning you don’t get an algae situation or any added maintenance when the leaves fall. We have added many irrigation systems over the years, but they can cause more hassle than they are worth! There are three main ways of watering the plants: these are with a sprinkler, drip system and leaky pipe. 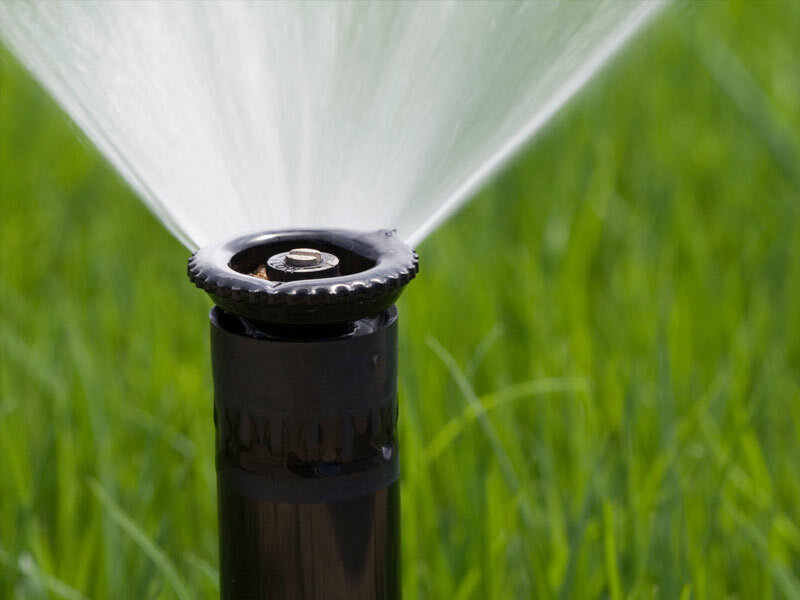 The sprinkler works well until the plants starts to grow, thereby stopping the range of water. Every two years the system should be checked to see if the plants are all getting the water they should. 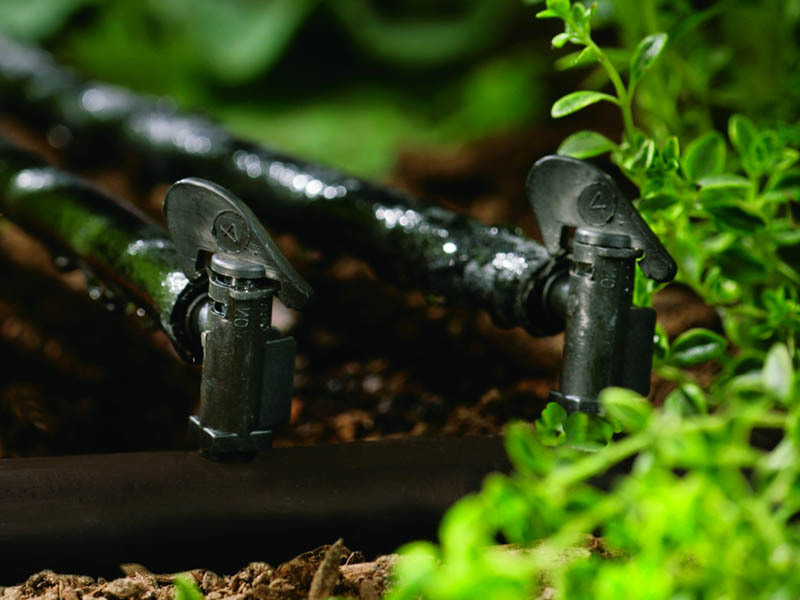 Drip systems consist of a pipe connected to the mains, with a dripper for each plant (a small nozzle allowing the desired amount of droplet through for each plant). These systems are great for being able to calibrate the exact water requirements for each plant, but once a year the system needs to be checked to ensure there are no blockages or damage to the pipe work. 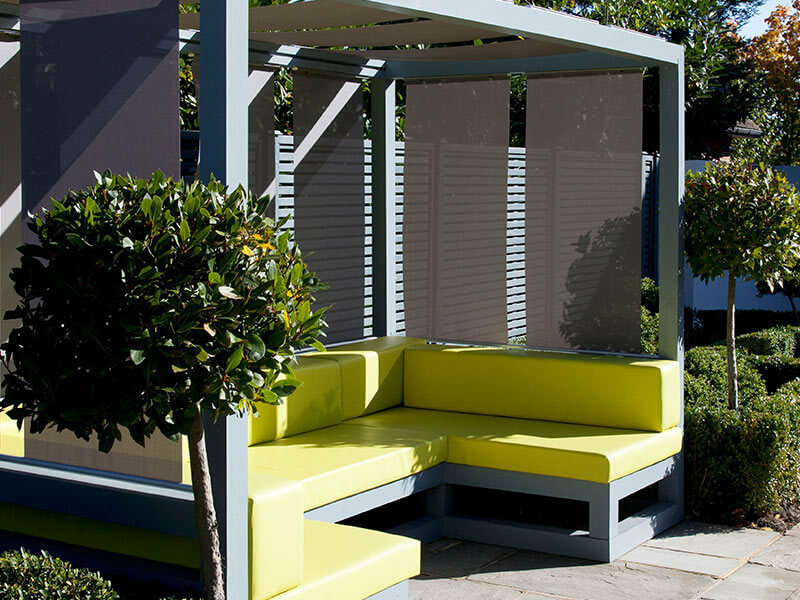 It is always nice to create ‘rooms’ within the garden; this does not mean that you have to split the garden up, but you could just have a separate seating area in which you could put an outdoor sofa or a breakfast table with two chairs. 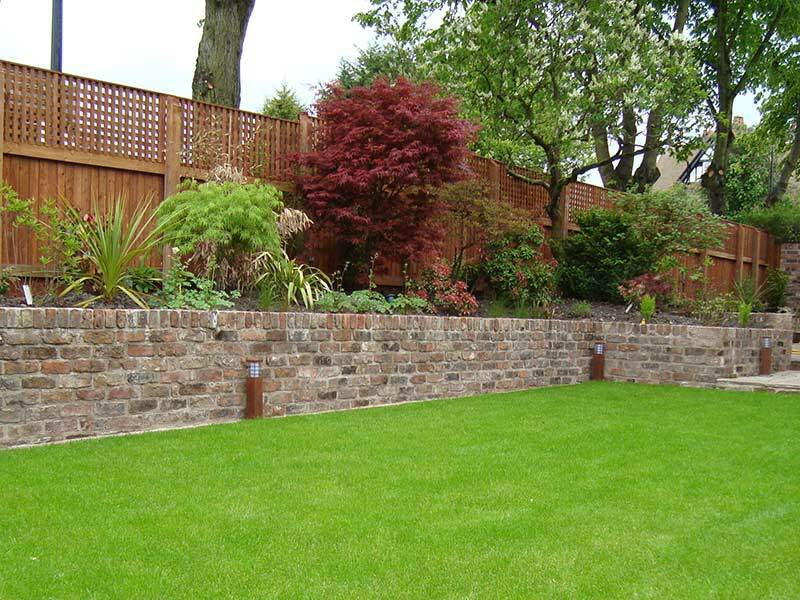 Having raised borders is a contentious issue amongst garden designers. 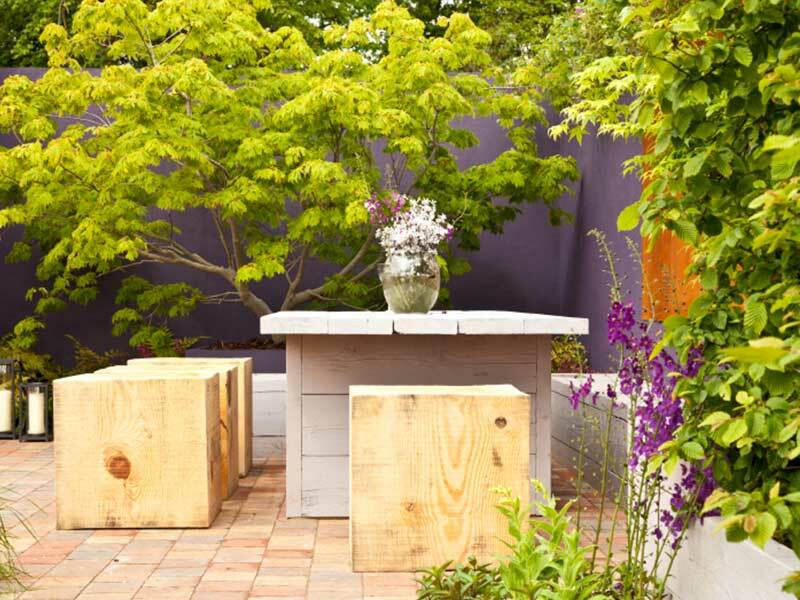 While some say it allows the designer to compartmentalise the garden and create features out of just a border, others believe this is far too hard and intrusive, and that it is better to create that cube effect by using something natural like a box hedge. 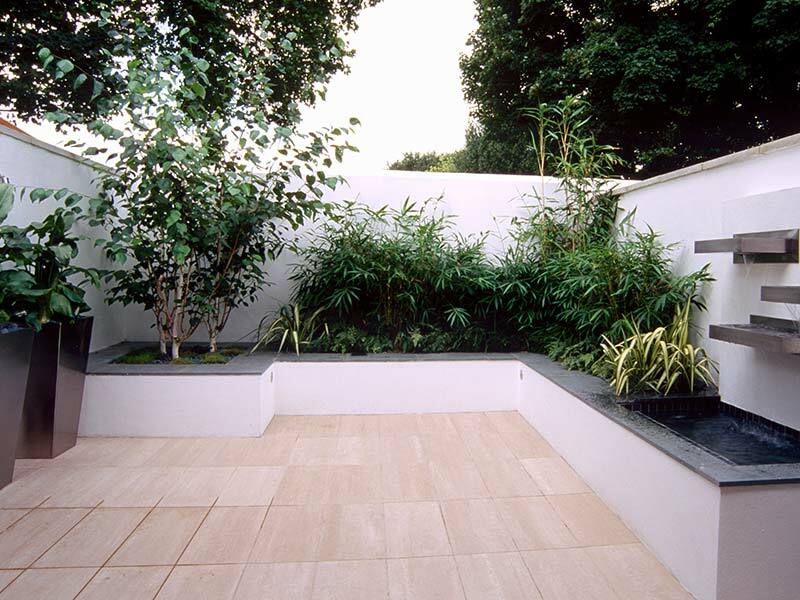 Garden design five years ago was all about the white rendered wall and a few palms, but we have seen a big change to gardens that are more textural, contemporised by the frame and shape of the design and using more modern materials such as granite for the paving. The cottage garden has made a surprising return; old reclaimed brick could be used here, but be careful as this can be damaged in the winter. Over the last five years we have had two winters where temperatures have dropped down to -14°C. 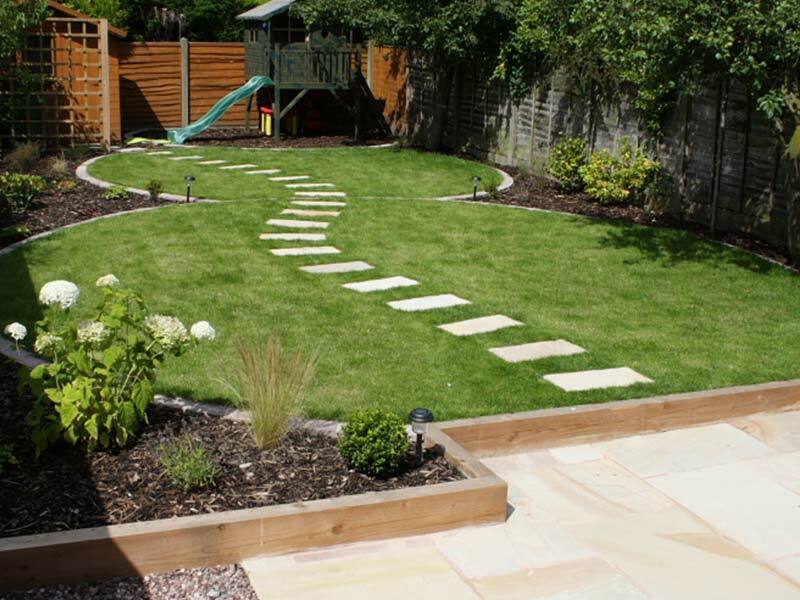 Pathways can be put in for two reasons: to enhance the design of the garden and to create the ability for the designer to be able to control how the eye moves around it, or for practical reasons (you may need to get to your garden shed and might not want to walk across the lawn). Please note these pathways are not always used so if you only need to get to the shed in the summer, you might not need one at all.</p.